The last thing any homeowner wants is to have their heat or air conditioning escaping through the walls and windows. If you have found yourself in that situation it is time to reap the benefits of new siding and windows. The sad truth is, there is not a standard siding material on the market that offers good energy efficiency. The energy efficiency name for building materials is known as the R value. You want the highest R value, which most experts agree is R 13. Sadly, the majority of siding material have an R value of less than 1, which includes steel, the standard and most popular siding - vinyl, and aluminum siding that does not have the foam insulation. While it may cost a lot more to purchase insulated vinyl siding, in the long run it will pay for itself. Plus, you may qualify for the Energy Star program and a tax credit of about $500 for the home improvement you made by replacing your siding. 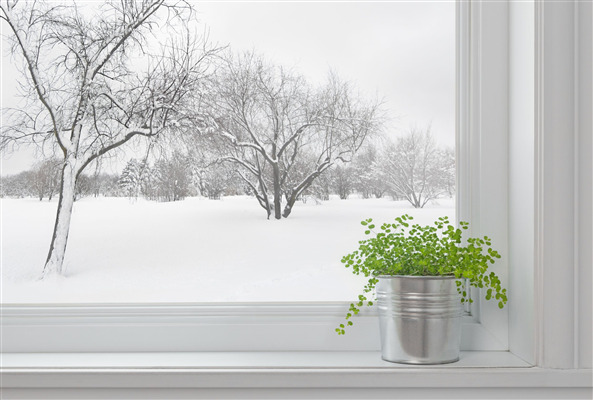 Your windows account for approximately 10 - 30% of your heat loss in the winter, and cool air in the summer. When purchasing your new windows make sure they have a pyrolytic low E they are 10 to 20 times thicker than your everyday sputtered coating. • If your windows are in need of repair, then repair them and winterize with your storm windows if you have any, otherwise, you could use a thick plastic on the outside of the window. • Use weather stripping on all the movable joints. It should be made out of extra strong material. • Put a clear plastic, heavy duty sheet on the window frame and/ or attach clear film to the interior of your window to reduce the loss of heat or cool air. • Keep your shades and curtains closed at night to prevent drafts, and keep them open during the day to allow the sun to enter and warm up your home naturally. Install snug fitting, insulated window shades if the windows are still allowing a draft in after weatherizing. If you end up replacing your windows be sure to apply for the home improvement tax credit on your income taxes and apply for the Energy Star program. How Does Siding Affect Energy Efficiency?